Members of a British Columbia First Nation are remembering a warrior chief who was wrongfully hanged 151 years ago and say they won’t allow another injustice to be done to their ancestor. The First Nation says a service was held Monday at the site of a high school in New Westminster, B.C., which was built atop a former cemetery where the remains of Tsilhqot’in war Chief Ahan may have been buried after he was executed on July 18, 1865. 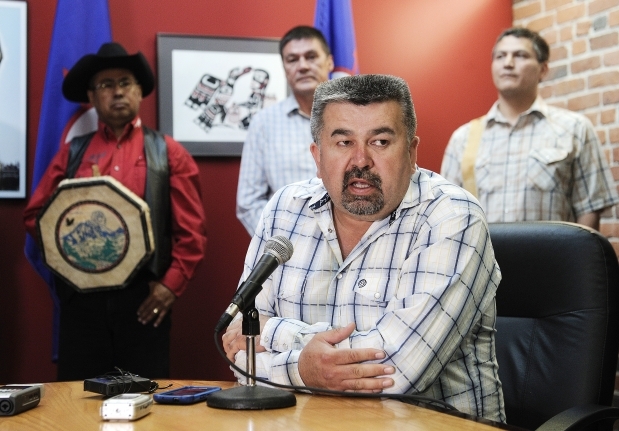 Tsilhqot’in First Nation chief Joe Alphonse says it should be illegal for the provincial government to extend the permit for a controversial mining project near Williams Lake without his band’s permission. 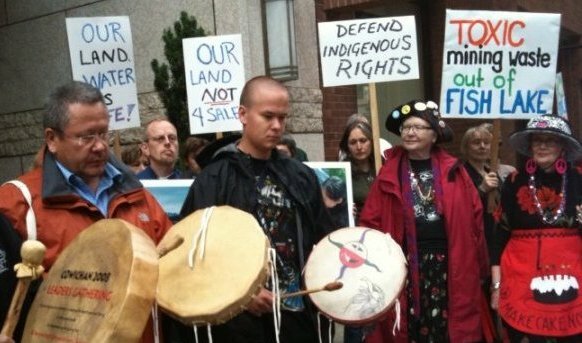 VANCOUVER — First Nations leaders are dismayed that the British Columbia government has extended environmental assessment certificates for two controversial mine projects. The province granted a five-year extension to a certificate that had been given to an earlier version of the New Prosperity mine near Williams Lake. The Tulsequah Chief mine, in the province’s northwest, has been determined to have “substantially started,” meaning the certificate will remain in effect for the life of the project. Tsilhqot’in Nation members live in the area where the New Prosperity gold and copper mine would be built. Chief Joe Alphonse says it should be illegal for the province to grant an extension without his band’s consent. 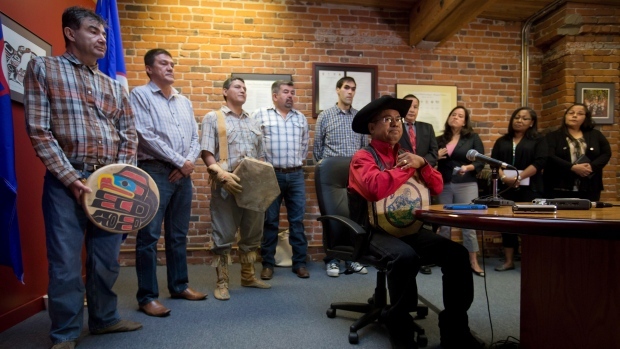 The sun had yet to rise in British Columbia on June 26, when a group of Tsilhqot’in chiefs congregated with legal advisers to receive their copy of a long-awaited decision from the Supreme Court of Canada. “Welcome to Colonial Courtrooms,” should have been the title of the Supreme Court of Canada’s landmark aboriginal rights judgment. While B.C. natives were busy last week celebrating the court’s affirmation of their “aboriginal title,” they should have paid closer attention to the fine print. In spite of all the hand-wringing about threats to resource development and the land mass of B.C., this is a big victory for governments. In the unanimous 8-0 decision, which dismissed with nary a nod the last half century of strident native assertions of sovereignty, the high court said B.C. natives are not unlike any other litigant squatter. 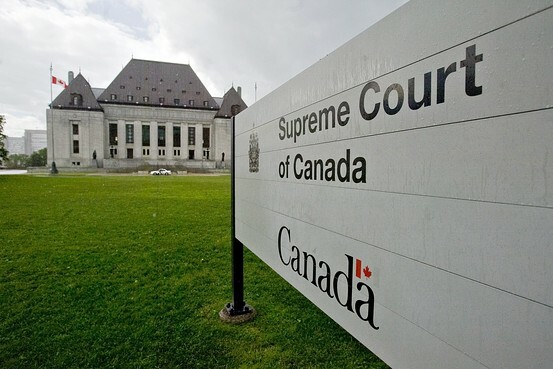 The Supreme Court of Canada has just released its latest take on the rules on Aboriginal title – and the first declaration of Aboriginal title in Canadian history. 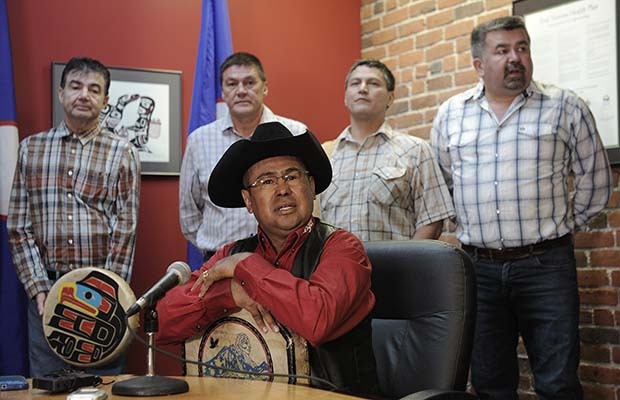 Its groundbreaking decision concerning the Tsilhqot’in Nation’s claims has the potential to reshape aspects of Canadian resource development more broadly. To understand why, we need to back up a bit to understand what the case has changed on Aboriginal title and why that matters. 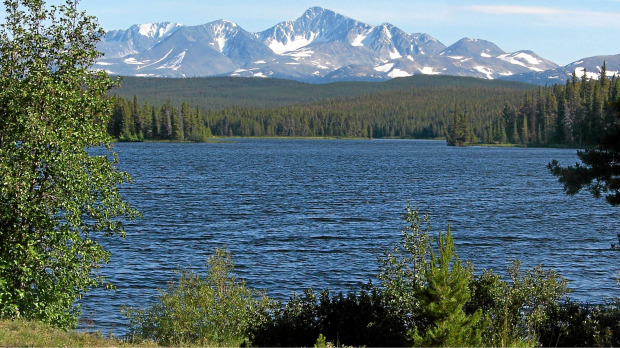 Fish Lake, targeted by Taseko’s proposed mine.